Neither there was any express prayer made by the MUDA and nor it could be inferred from the document relied on by the Division Bench at the instance of respondents (writ petitioners) for forming an opinion “not to press the appeal”. While restoring the writ appeals which were dismissed by the Karnataka High Court as ‘not pressed’, the Supreme Court has explained when, and when not, to dismiss appeals as withdrawn. In this case, (Mysore Urban Development Authority vs. K.M. Chikkathayamma), the single bench, allowing the writ petitions filed by landowners, had quashed the entire acquisition proceedings on the ground that there was a delay on the part of the Mysore Urban Development Authority (MUDA) in taking possession of the acquired land. The MUDA filed the writ appeals. In these proceedings, landowners filed an application that the MUDA has resolved to drop the lands in question from the acquisition proceedings. They prayed for dismissal of the appeals, contending that there is no need to examine the legality and correctness of the order of the Single Judge impugned in the appeals on merits. Perusing the resolution by MUDA to that effect, the division bench dismissed the appeals as withdrawn. Senior advocate Dushyant Dave appeared for the MUDA before the apex court and contended that the high court ought to have examined the matter on merits. He submitted that the resolution does not show that any express decision was taken to withdraw the appeals or that any decision was taken to drop the lands in question from the acquisition proceedings. A further submission was that the MUDA was not competent to take such decision without obtaining the sanction of the state government as provided under Section 19 (7) of the Karnataka Act. Senior Advocates Mukul Rohtagi and Gopal Subramanian appeared for the landowners and supported the high court order. They also submitted that landowners have altered their position in relation to the lands in question by spending substantial money and, therefore, this is not a fit case to entertain the special leave to appeals. 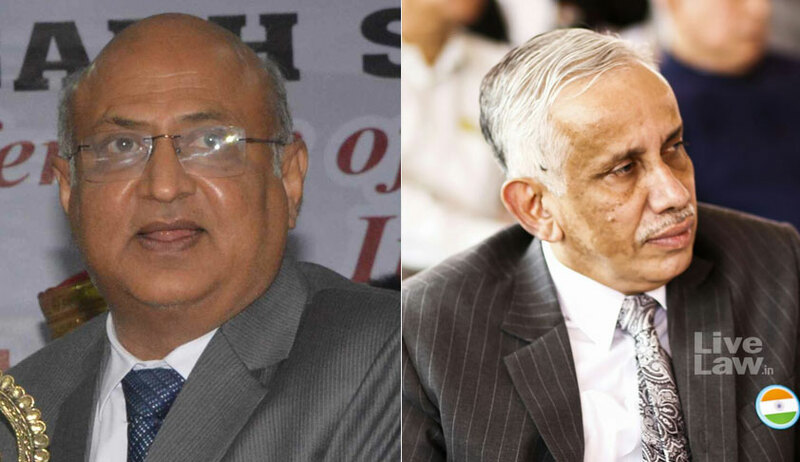 The bench of Justice Abhay Manohar Sapre and Justice S. Abdul Nazeer observed that the appeals filed by the MUDA could not have been dismissed “as not pressed” and should have been decided on merits. “Neither there was any express prayer made by the MUDA and nor it could be inferred from the document relied on by the Division Bench at the instance of respondents (writ petitioners) for forming an opinion “not to press the appeal”. In other words, the opinion formed by the High Court for dismissing the appeals “as not pressed” had no basis. Such dismissal, in our view, certainly deprived the MUDA of their right to prosecute the appeals on merits,” the bench said. The court also said any act done by the parties in relation to the subject matter of the appeals after the impugned order could not be pressed into service to support the impugned order. “In other words, the legality and correctness of the impugned order has to be examined in the light of reasoning contained in the impugned order and not on the basis of the acts done by the parties subsequent to the passing of impugned order. It is for this reason the acts done by the party subsequent to passing of the impugned order are of no relevance for deciding the present appeals,” he said.